Rev Peter Thomas MA MA is minister of North Springfield Baptist Church in Chelmsford UK. This is my Sermons and Studies blog. From a background of no contact with Christianity I became a Christian at the age of 16. I went from Manchester Grammar School to Trinity Hall Cambridge to study Natural Sciences eventually specialising in Organic Chemistry. I took the PGCE with distinction and the Charles Fox Prize at Cambridge and moved from teaching practice to my first job teaching science and later Computer Studies under (now Professor Sir) John Holman at Watford Grammar School. After four years and a couple of minor publications I moved (with many happy memories) to study Theology at London Bible College (now London School of Theology). In 1999 we moved to a new challenge as Minister of Brentwood Baptist Church in Essex. This gave exciting opportunities for links with churches in Bulgaria and Uganda, and I have now visited Uganda twice and Bulgaria three times. In November 2001 I also took on the responsibility of Moderator of Churches Together in Brentwood and changed roles in 2007 to become Secretary. 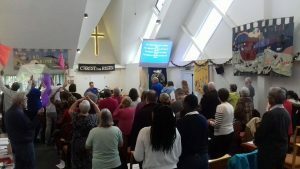 I was involved in establishing the national Churches Network for Gypsies and Travellers and was involved for many years with Harvest For The Hungrywww.harvestforthehungry.co.uk. I also served on the committee and as webmaster for On the Move “free lunch barbecue” missions. My wife Ruth is Director of Learning for the Multi Academy HEARTS Trust of Primary Schools. We have three children: Lizzie graduated in Pharmacology and qualified as a teacher in Cambridge and with Giles has given us our wonderful granddaughter Ellie; Susie graduated in Drama from Queen Mary College, London, and runs a dog-grooming business in South Wales. David has just obtained his PhD in neuroscience and is continuing research into Alzheimer’s Disease at University College London. 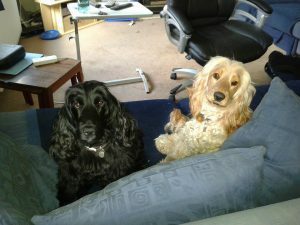 In spare minutes I enjoy playing piano and guitar and doing all kinds of things with computers but am also kept busy by our wonderful black spaniel Poppy and her even bouncier daughter Sophie.